A set of five stackable assessment stools that stack for simple storage, a must for any therapy room. When stacked width 500mm x depth 360mm x height 500mm. 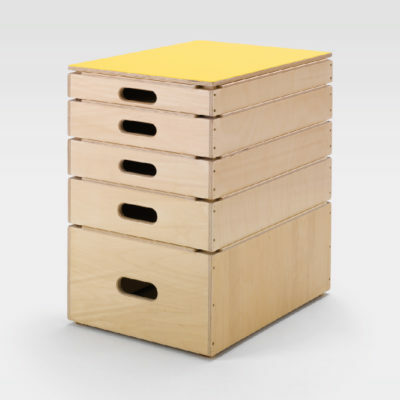 When boxes are separated, individual heights apply: 1x50mm, 2x75mm, 1x100mm and 1x200mm.